Twenty-seven years ago, part of the 1990 Farm Bill, known as the Organic Foods Production Act (OFPA), required the Secretary of the Department of Agriculture (USDA) to establish national standards governing the marketing of agricultural products as “organically produced products.” In response, the USDA established the National Organic Program (NOP) as a regulatory program within its Agricultural Marketing Service (AMS). This regulatory program was created to assure consumers that products with the USDA organic seal meet consistent, uniform standards. Imported agricultural products may be sold or labeled as organically produced if they have been produced and handled under an organic certification program. The USDA’s Agricultural Marketing Service (AMS) has the responsibility to administer organic trade arrangements and agreements with foreign countries to ensure that U.S. government standards for organic products are met. In the October 2017 issue of Acres magazine (The Voice of Eco-Agriculture), Mark Keating reported that fraudulent imported organic grain is flooding the U.S. markets. He also noted that domestic organic corn and soybean producers with rock solid certification histories experienced price declines in the range of 25 percent. That many domestic producers of organic corn and soybean have reported difficulty finding any market whatsoever for their crops is nothing short of deplorable. Keating’s article in Acres magazine references a recent article by Peter Whoriskey (5/12/17) in the Washington Post which tracked a 36 million pound shipment of conventional soybeans, grown in the Ukraine and shipped through Turkey before arriving in Stockton, California in December 2016, that were sold as organic to certified feed handling operations in the United States. Washington Post reporter Whoriskey also noted that two shipments of fraudulent organic corn from Romania totaling 92 million pounds were sent to ports on the East Coast of the United States before undetermined amounts entered domestic marketing channels. Most important, the Washington Post article cited by Keating in Acres magazine, in his words, laid bare how poorly prepared the USDA is to prevent blatant fraud of this nature. Shockingly, there are fewer than 10 employees working in the NOP’s Compliance and Enforcement Division, which is responsible for ferreting out violations of the USDA organic standards around the world. To conclude on a more upbeat note, one way to avoid this potential for consuming conventional food, sold deceptively as higher priced organically produced food, is to know your farmer and participate as a shareholder in a community supported agriculture (CSA) farm committed to organic growing standards. 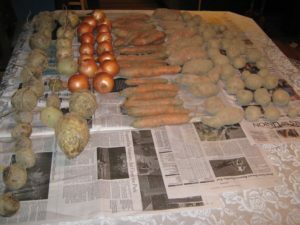 Even as autumn becomes winter, especially in northern parts of the United States, a winter CSA share may still be available. Check the listings of CSAs in our directories to find one possibility close to home. Each fall, this advocate for an organic diet enjoys a winter share from Roxbury Farm in Kinderhook (Columbia County, NY). 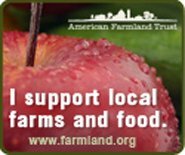 It’s an economical way to maintain organic, locally grown food as part of a winter’s food supply. At the cost of $125, my winter share consists of 90 pounds of organic root and storage crops, including potatoes, sweet potatoes, celeriac, watermelon radish, carrots, beets, onions, parsnips, cabbage, rutabaga and winter squash. The deliveries take place once a month in December 2017, then in January and February of 2018, at the economical cost of $1.38 per pound for organic and local food of the highest quality.